Loop statement in Python executes repeatedly the statement as long as a given condition is true. A unique feature of loop statement is repetition. Loop and conditional statement have the similar and different point. Different than a conditional statement, the loop statement will repeat if match the condition. 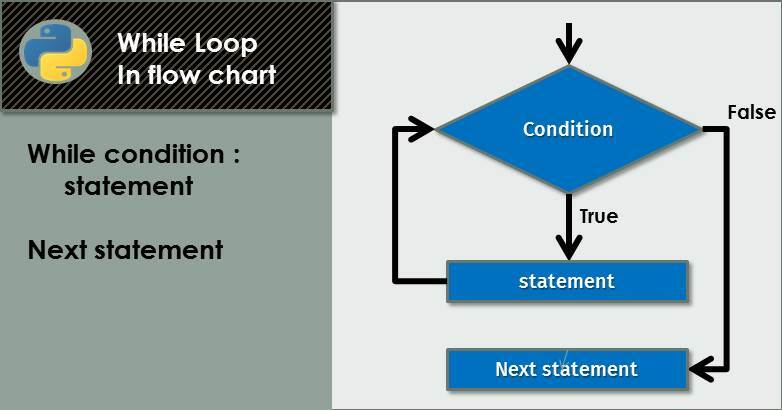 Similar to the conditional statement, the loop statement has a condition to execute. Sometimes, the programmer said it repetition structure or iteration. The statement will repeat if condition is true. Next Post Why this blog talk about Python?